The black truffle is the second-most commercially valuable species, is named after the region in France and grows with oak and hazelnut trees. Black truffles are harvested in late autumn and winter. The flavor of black truffles is more refined than that of white truffles. Its strong flavor is often described as earthy and fresh and at the Salado Olive Oil Company we have them infused into our subtle olive oil as well as used for producing our delicious Fusion Black Truffle Sea Salt. Truffle oil is used a delectable substitute for truffles, to provide flavoring, or to enhance the flavor and aroma of truffles in cooking. 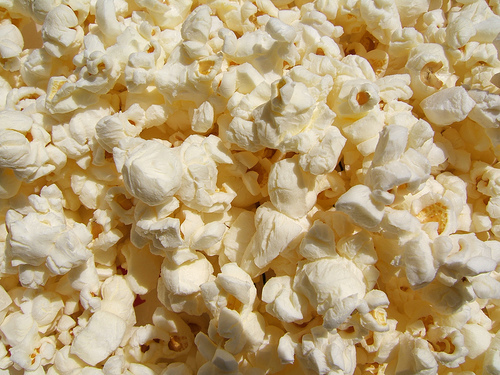 Cook your popcorn in a pot or use an air popper. Once the popcorn is done popping then drizzle with Salado Black Truffle Infused Olive Oil and toss with our Fusion Black Truffle Sea Salt. Go crazy and add more unusual flavors by adding grated parmesan cheese and black pepper. Toss to combine.